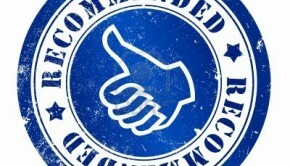 Endorsements and Voter Guide for the 2014 General Election! 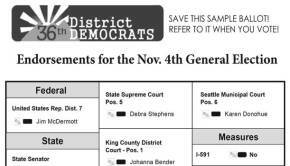 Each election the 36th puts together a concise, packaged voter guide that’s distributed to thousands of doors across the district. 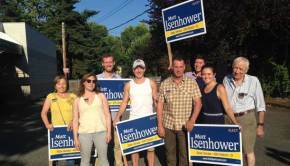 Help Democrats Win the Senate! Rick Steves and Sen. Jeanne Kohl-Welles Fundraiser! 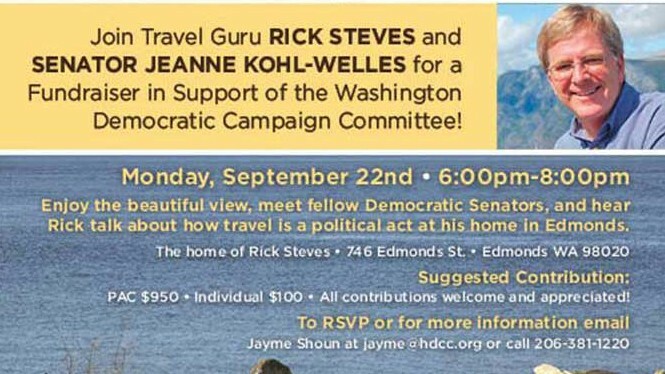 Join travel guru Rick Steves and Senator Jeanne Kohl-Welles for a fundraiser in support of the Washington Democratic Campaign Committee!